Plans, schedules, itineraries, routes, updates, etc. We meet up at the Pfluger Pedestrian Bridge this coming Sunday, 02/27/2011 at 2:00 p.m. 11:00 a.m. – see above. We won’t tarry long (after the initial photographic opportunities), so please be on time. Most likely, we will be traveling north, so as to utilize the recently-completed leg of the bridge across El Calle Cesar Chavez. Generally, we will make our way up to the south steps of the Capitol Building, for the obligatory throw-your-hat-in-the-air photo, then stop at a pub or two for fortifications. We may head back south on the bicycle boulevard (and marvel at its magnificence), and then head east for a spell. We will eventually end up at the west side of the Austin Convention Center, hopefully no later than 4:00 p.m., so that we can catch the tail end of the North American Handmade Bicycle Show (NAHBS). Which brings up my next point. For those of you intending to attend the bike show (and if you are interested in bike bling, you are well-advised to attend), you might want to go to the show before our ride. The hours on Sunday are 10:00 a.m. to 5:00 p.m., so presuming you don’t spend the entire night on Saturday out carousing and you are able to arise at some point before the crack of noon, you should have ample opportunity to peruse the wares available at the show before joining us at the bridge. Also, please be advised that online registration for the show ends tomorrow at midnight. That’s Wednesday, Feb-yew-airy 23, twenty-eleven, at 24:00 hrs. You may still be able to register at the door, but admission may be a bit steeper. Again, the weather looks as if it will not be so cooperative come Sunday, but this time, we’re pushing on. You know that catching the tail end of the show means you’ll see many empty booths as everybody clears out to catch their evening flights, right? Thanks, Richard. Precisely why we have recommended that everybody catch the show on Sunday morning before we posse up at the bridge. The pub stops will most probably put us way behind schedule, anyway. Then again, why would everybody want to be leaving our lovely little town so soon? 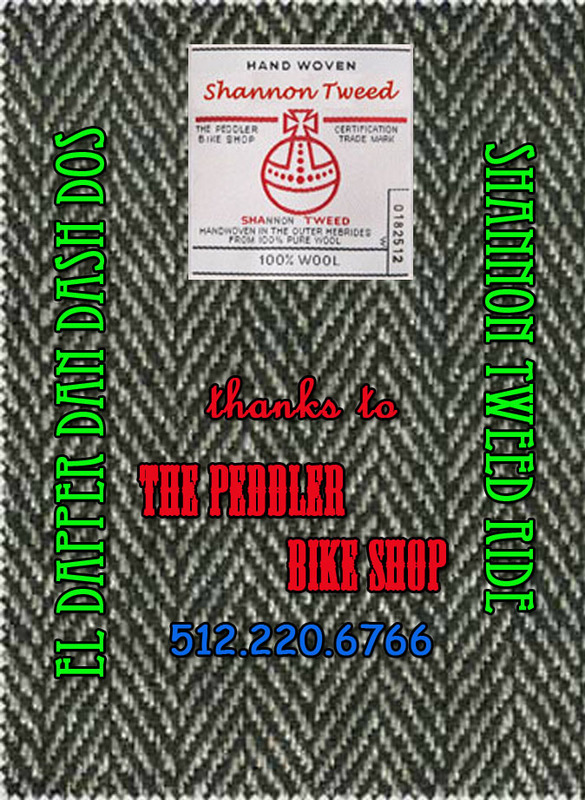 UPDATE: Our sponsor has requested that we move up the ride time to 11:00 a.m., so as to increase the possibility that we won’t be seeing a bunch of empty booths at the NAHBS when we make it back. Looks like the guys took your advice to heart.